Make-up that enhances a woman's natural beauty is always a favorite in my book. La La Anthony, TV personality, actress and wife of basketball star Carmelo Anthony, was recently in Miami to launch her new make-up collection called Motives for La La during this year's Market America World Conference at the American Airlines Arena. The make-up line is an extension of the award-winning Motives® By Loren Ridinger® cosmetics brand. 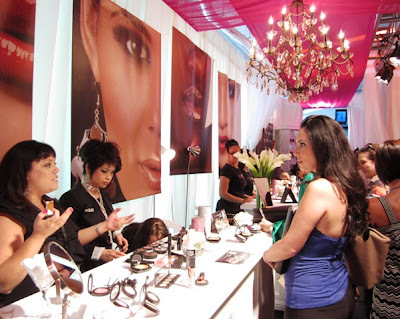 Loren Ridinger, Senior Vice President of Market America and Shop.com, was eager to announce her collaboration with La La because they finally created a collection for Motives that emphasizes colors and products for African American and Latina women. During the conference, the duo's celebrity friends came to support the new collection like Kim Kardashian, Jonathan Cheban, Fat Joe, Larsa and Scottie Pippen (among others). To see all of the behind the scenes action and to see all the fun La La had during the launch of Motives for La La, check out Seth Browarnik's pictures on WorldRedEye.com (pictures shown below are by Seth as well). After La La and Loren presented the new collection, I headed to the beauty suite to interview Loren about this venture. Enjoy! 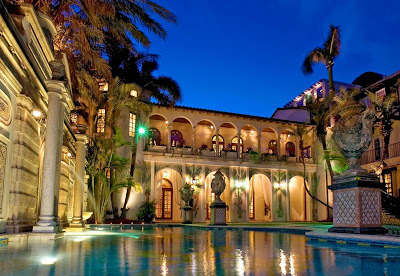 MBS: How was the Motives for La La collection born? Why did you want to collaborate with La La in particular? Loren: Aside from La La being one of my closest friends, she is a very hard worker and reminds me a lot of myself. While hanging out in New York one night, La La and I talked about the idea of having a cosmetic line for women of color. I knew there was a void for this in the market place and something that Motives didn’t have to offer at the moment. Immediately, we began to brainstorm and it just happened. MBS: Will you be traveling the country with La La to promote the new collection? Loren: La La and I will kick off our promotional tour for Motives starting in March. We are first heading to London. Then, Hong Kong followed by Taiwan in which we have another conference of over 22,000 people attending. The people there are very excited and eager to see us. Additionally, we are constantly connected to our fans using social media and we're promoting our lines through Facebook and Twitter to millions of followers in many countries. MBS: What was your favorite product from La La’s collection? La La’s Court Eye Shadow Palette – the colors are perfect for any occasion and they're a great transition to use from Winter to Spring. La La’s Mineral Blush in Vanity – this color just gives you the right amount of bronzed shimmer on your cheeks and it's great on any skin tone. La La’s Lipstick Fire – red is one of the hottest colors for Spring. La La’s Celeb Lip Shine – I really love this color, it’s one of those shades that just looks good with any outfit. 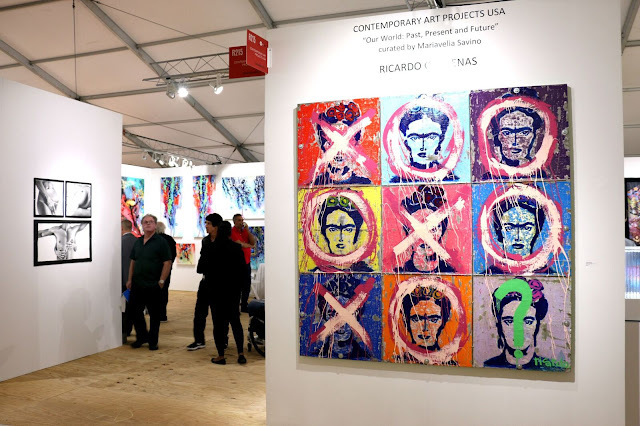 MBS: What makes this collection stand out from the competition? Loren: I think the line is perfect for any shade. Although, the line is made to target a specific market, I feel that there is a little bit of everything for anyone no matter your skin type. 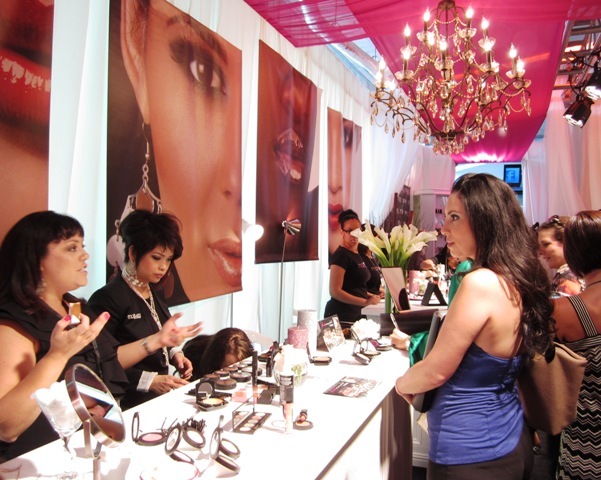 Above: The beauty suite at the Market America World Conference featuring all of the products from Motives for La La. 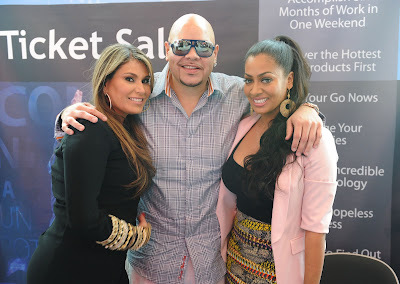 Above: Loren Ridinger, Fat Joe and La La Anthony. Make sure to check out Motives for La La online and see which products will become your favorites! I already fell in love with the lip glosses!!! Let me know if you've tried any of La La's make-up products below. Cheers to fabulous make-up and to beautiful friendships!